It’s Wednesday. The Olympics end on Sunday. I still have 2 arms to knit (OK, 1 and 7/8ths) on this sweater. I will need to knit with the speed of Katie Ledecky (assuming she knits as well as she swims), and harness the concentration of Simone Biles. 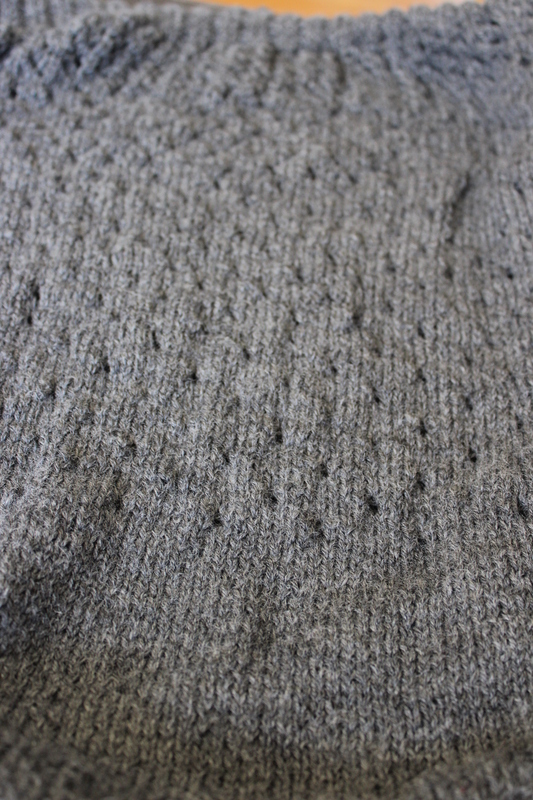 I’ve gotten through the majority of the knitting- the body’s done, and I’ve bound off the collar/button band combo (have I ever mentioned how tiresome the sewn bind-off is… I wish I didn’t love the finished results so much). Sleeves are always a pain, but there are only two of them. So, I should be off. Only four days to go (three, if I hope to block this bad boy). How’s your Ravellenic knitting going? 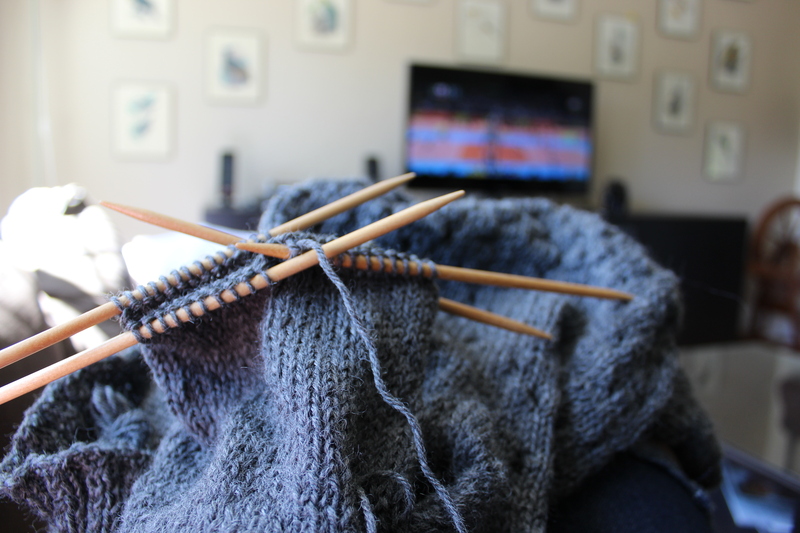 This entry was posted in Knitalong and tagged knitting, olympic games, olympics, ravellenic games, sweater on August 17, 2016 by onemilljellybeans.